Instagam is designed to be used only as a mobile app. You are supposed to post directly, in real time. But sometimes, editing photos, writing captions, would just be easier on computer with a key board. And also, photographers, influencers, business accounts, might take pictures with a digital camera. If you want to post those pictures, you have to send them to yourself through email, save photos on a mobile phone, and than post them. Is there a way to post to Instagram from desktop? 2. How do browsers work? 4. How do browsers work? Instagram has scheduling tools that are allowing you to post automatically, if you have business account. You can plan your content ahead, and not forget when to post. And it can help you manage multiple accounts. As an business account, it can be smart to use third-party apps, because they know how marketing works. Apps can provide you a service of tracking your analytics, optimizing your workflow, generate sales etc. If you are a private user, and you only want to post privately with friends and family, you might also find it, sometimes, inconvenient to post through mobile phone. You can also use third-party apps that will schedule your posts, and send you alerts on mobile phone, and you can post pre edited photo and caption. This applies for photos. If you want to post videos, you have to use notifications. Weather you are business user or a private one. If you don’t want to use third-party app, there are some browser tricks that you can use. And some of them are free, some are paid. They are both here to save you ton of time and frustration trying to get your photos to your phone. 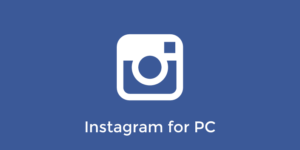 These clever desktop hacks, allow you to use Instagram on desktop, with the interface being the same to Instagram on mobile. They are supposed to emulate that you are using mobile phone instead of desktop. You can browse, comment, like posts, same as you would on your mobile phone. 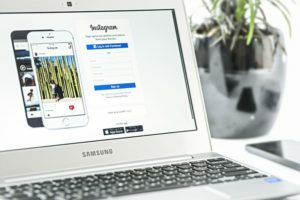 Instagram, partnered with some third-party apps, that respect Instagrams policy and regulations, are here to save you time, and help you enjoy Instagram experience. As an Instagram user, you want to be present, with interesting content, and consistent look. 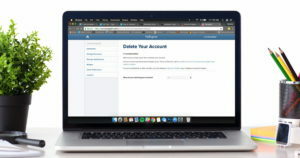 Weather you are business, or private user, or if you have one account, or several accounts to manage, choose the best app or browser tool for you, and enjoy, even if you are off line, because you have scheduled your postings.